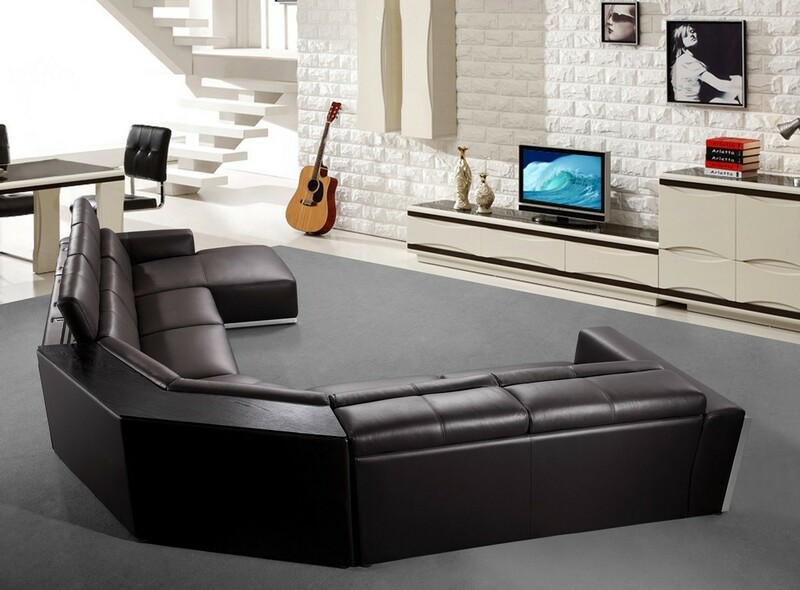 3 Seater: W77" x D44" x H28"
Corner with End Table: W56" x D56" x H28"
2 Seater: W65" x D44" x H28"
Chaise: W44" x D72" x H28"
Divani Casa Tempo sectional sofa in brown color large contemporary sectional sofa features sleek design. 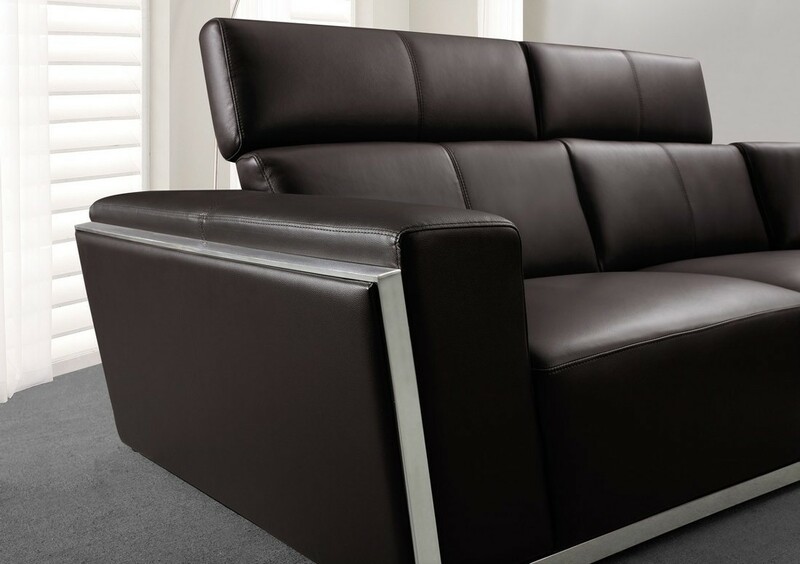 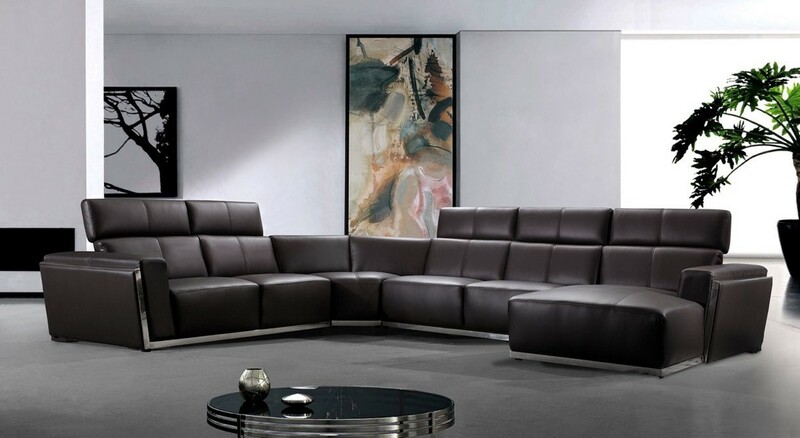 Upholstered in leather and assented by stainless steel lining and offers adjustable headrests. On the back of the corner there’s a dark brown wooden end table for more convenience.